Learning disabilities in basic math skills are just one type of specific learning disability. A learning disability in basic Math affects the learner's ability to perform basic mathematical operations. People with learning disabilities in basic math do not understand the relationship between numbers and the quantities they represent. Understanding math concepts and real-world math applications such as in telling time are also difficult for people with learning disabilities in basic math. Learning disabilities in basic math skills likely involve difficulty with language processing and visual reasoning skill centers of the brain. Math learning disabilities are believed to be hereditary or developmental. 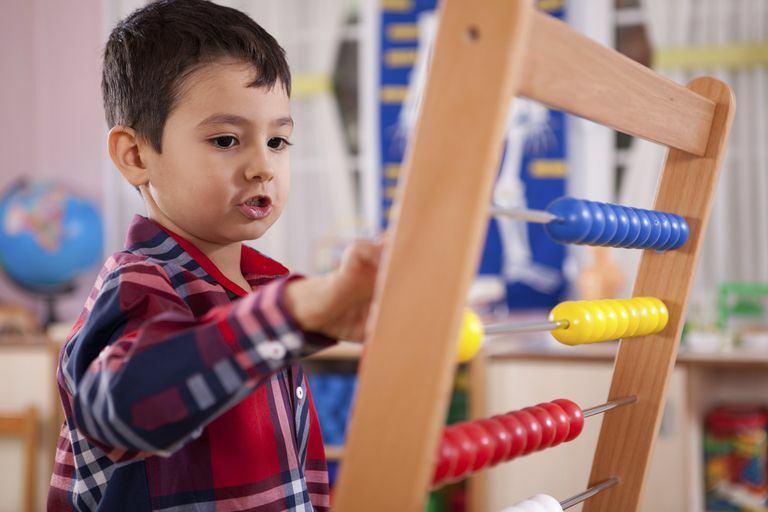 Learning disabilities in math are not solely the result of problems with ​expressive or receptive language, visual, or hearing problems, or hand-eye coordination. However, learning disabilities can be complicated by these conditions. People with learning disabilities in basic math may have little difficulty writing numbers on paper, but they do not understand the relationship between numbers and quantities. Time concepts, organization by number or quantity, and performing practical math tasks such as measuring for recipes are difficult for people with learning disabilities in math. They may understand how to solve problems, but the solutions are incorrect because of calculation errors caused by their learning disabilities. Evaluation helps educators develop effective strategies. Typical strategies involve hands-on materials to develop awareness of math concepts. Teachers may also work on language-based aspects of math to help learning-disabled students understand terms and the relationship between numbers and the words describing them. People with learning disabilities in basic math skills have general learning ability that is as high as, or higher than their peers. People with learning disabilities simply have a skill deficit in basic math. Students with math learning disabilities may become frustrated because of the effort they must put forth to get their work done. They may appear as if they are not putting forth effort when they are just overwhelmed. Remembering how to perform operations may be difficult for them because they do not grasp the underlying concept of the task. Diagnostic math tests can be used to determine what specific types of problems are affecting the learner's math skills. Through observations, analyzing student work, cognitive assessment, and possibly language assessment, educators can develop recommendations for individualized education programs. If you believe you or your child has a learning disability in basic math, contact your school principal or counselor for information on how to request an assessment for learning disabilities. For students in college and vocational programs, their school's advising office can assist with finding resources to help them be more successful in coping with their learning disabilities. As a learning disability teacher, parent or student in the trenches, you use math strategies every day. We want to hear your successes, learn your tips, and hear about your struggles in coping with learning disabilities. Have you developed a strategy that works? Have you tried a learning disability program that didn't? If so, we want to know. Share your learning disability math teaching strategies and stories here.